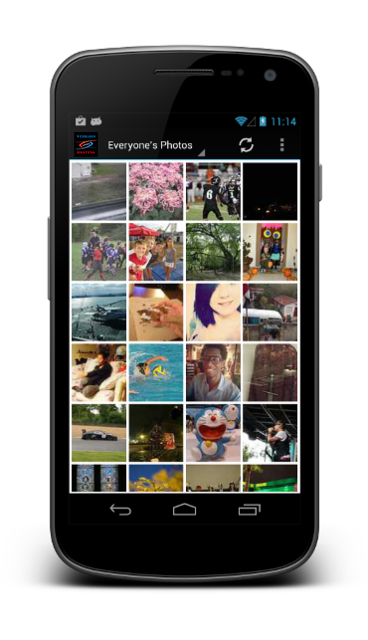 The Flickr Gallery Activity allows you to take your photos from flickr and display them in your Android application. For information on creating flickr feed URLs please see the Flickr Services Documentation and the Flickr Photo Feeds knowledge base article. The preferred feed format is rss_200. The name that you want to give to your activity. This will appear on the dashboard and on the Action bar. This can be whatever you want but should probably describe the feed that you will be displaying. This option controls whether the Flickr User ID value or the Flickr Data Feed URL setting will be used. If you are displaying photos by Flickr User ID, this value should be set to the flickr ID number of the user whose photos you want to display. See the Flickr Photo Feeds article for information about finding your Flickr User ID. Tip: use http://idgettr.com/ to get the ID from a photostream URL. For more information on creating Flickr Feed URLs please see the Flickr Services Documentation. The preferred feed format is rss_200. The Flickr Gallery Activity contains a scrollable grid of thumbnails which is populated when the app queries the feed. When the user clicks on one of the thumbnails, they will be able to view the full sized image and be able to swipe horizontally to see the next or previous photo. 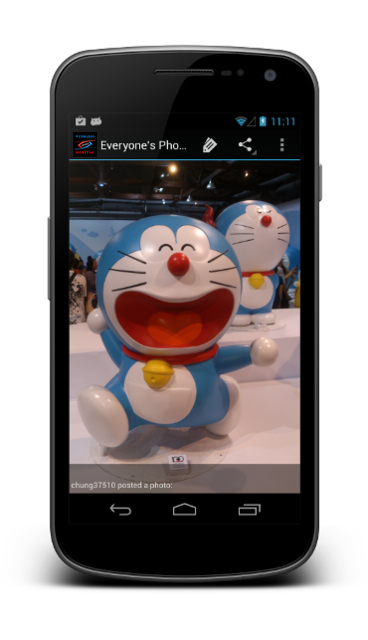 The image view contains other features such as setting the wallpaper, sharing options, and the visibility of the description.